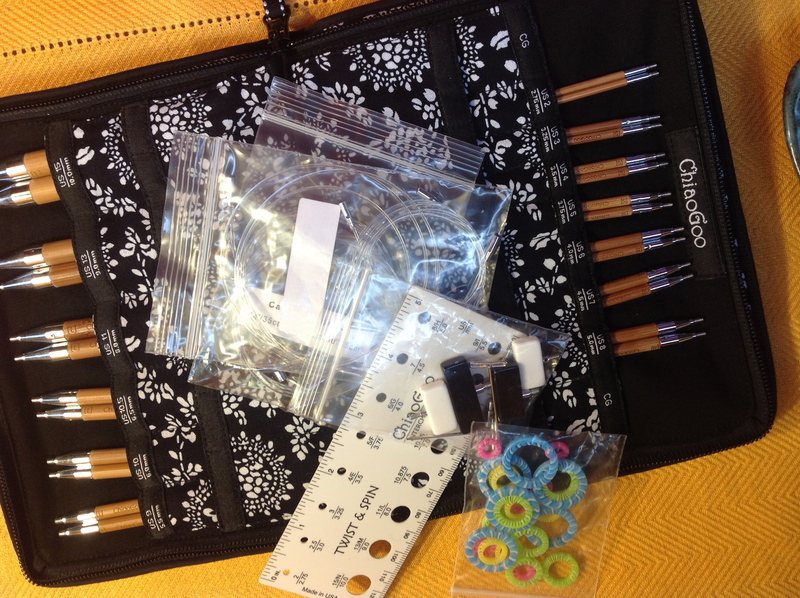 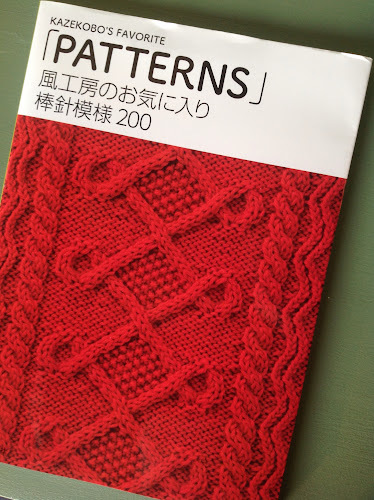 My list of unfinished projects is way too long, and as much as I hide the bags away when I am bored or frustrated with a project, my Ravelry notebook is a constant reminder, in a good way, of all that I need to finish before starting a new large project. 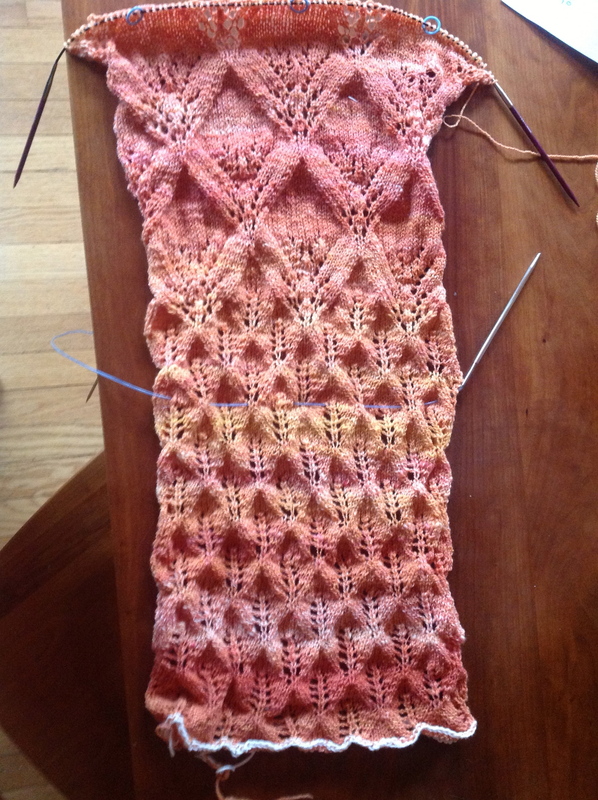 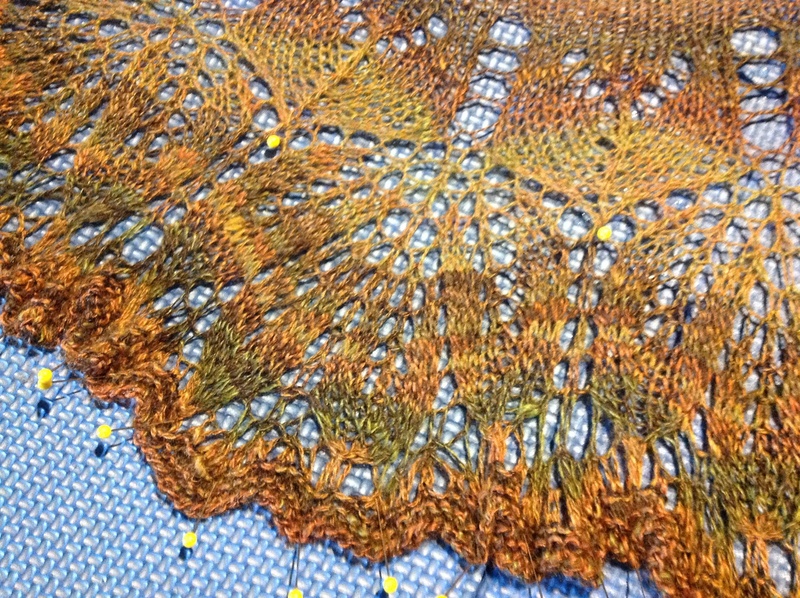 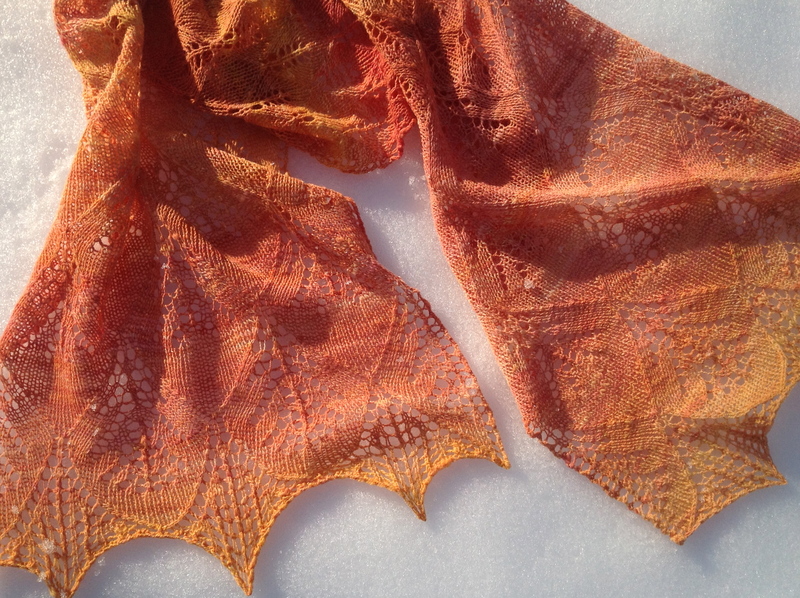 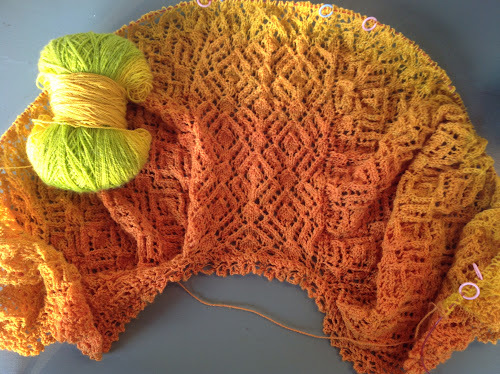 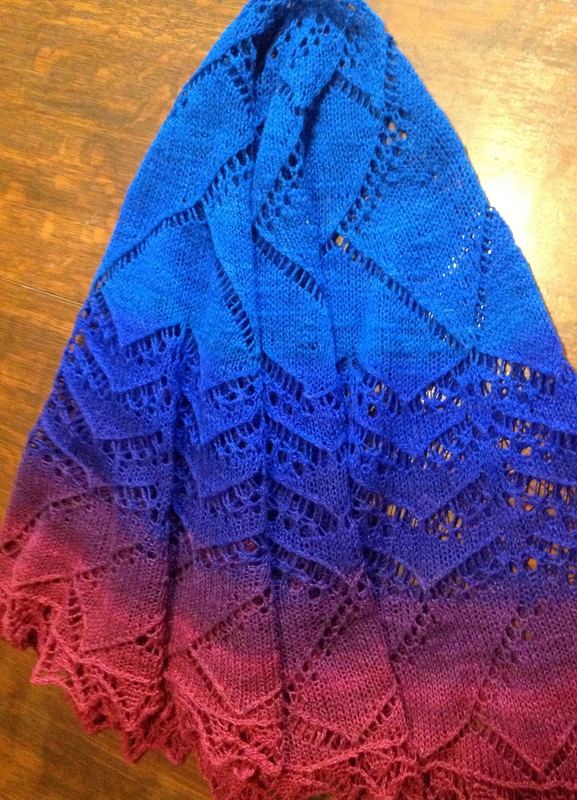 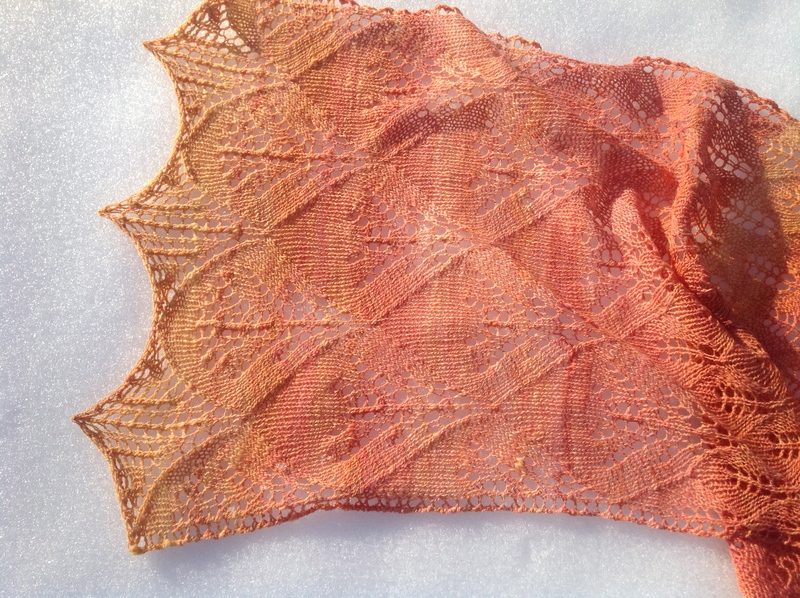 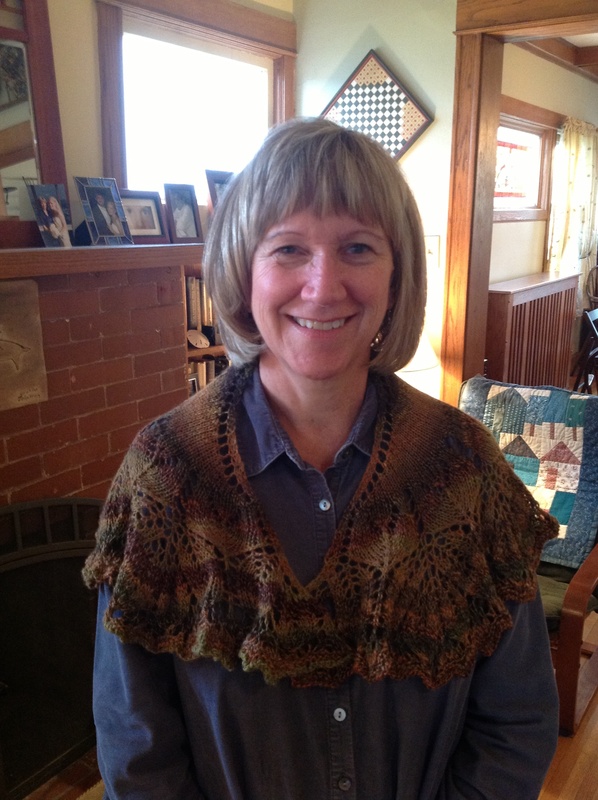 This shawl, Roxanne mystery knit-along, was one such project. 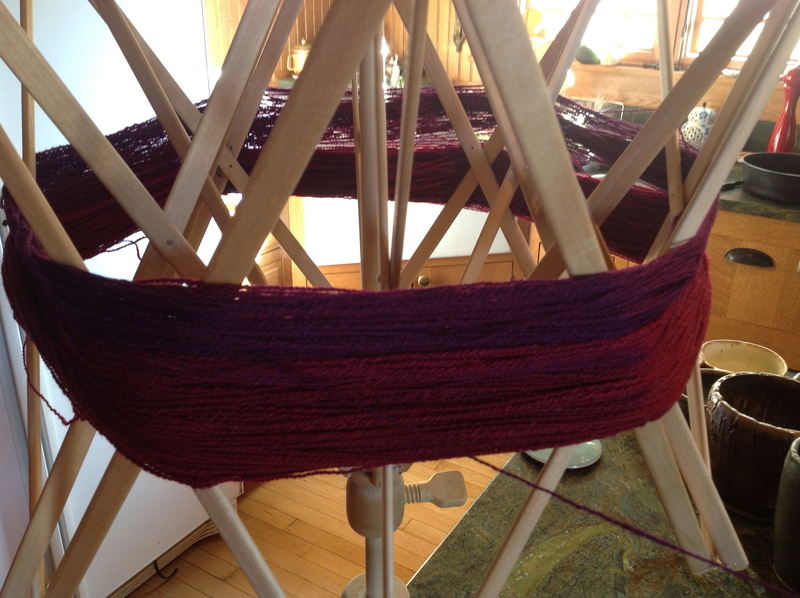 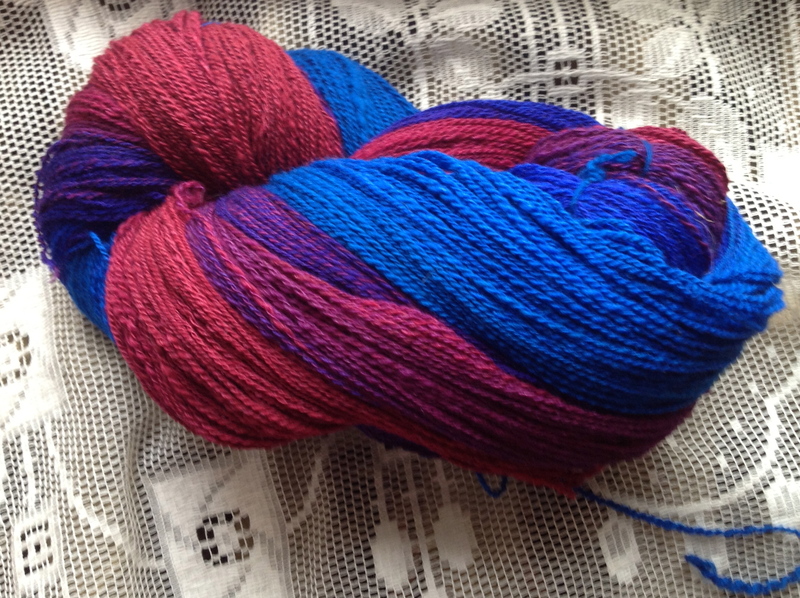 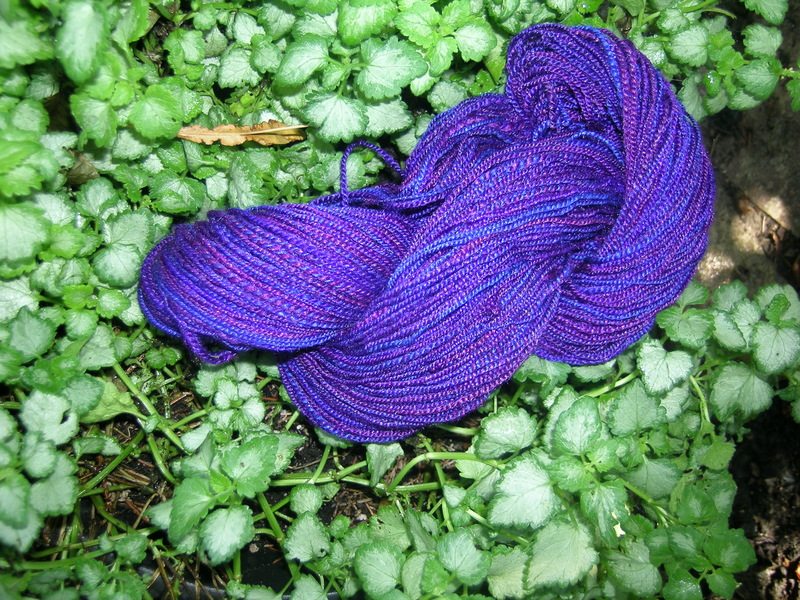 The yarn was purchased in Michigan last year, prior to really only wanting to use my handspun for shawl projects. 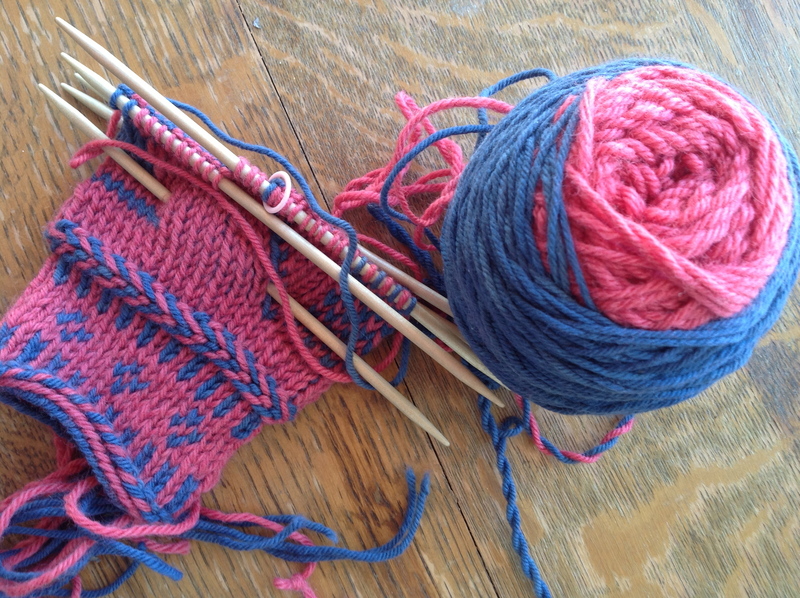 I knit it up, and then put it away unfinished, and when I looked at it all I needed to do was cast-off. 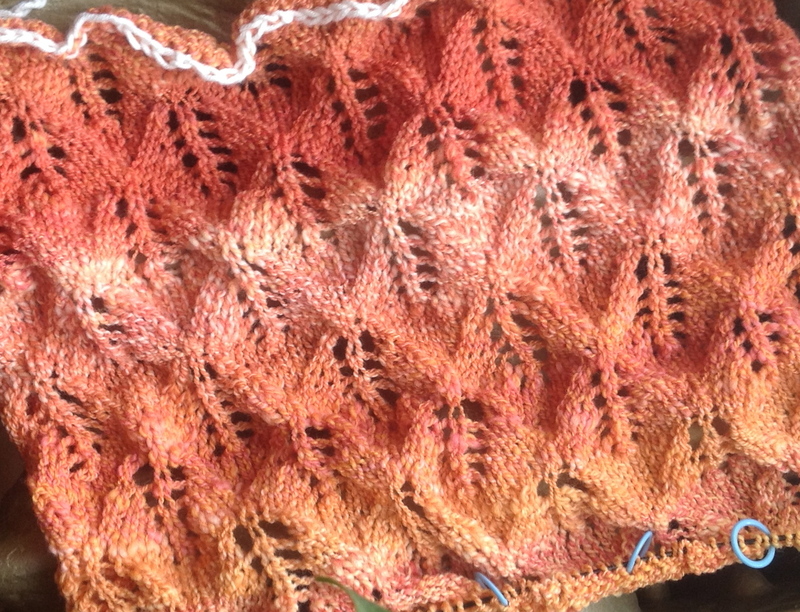 My recollection is that I was mulling over whether I had enough yarn to add a couple of more rows. 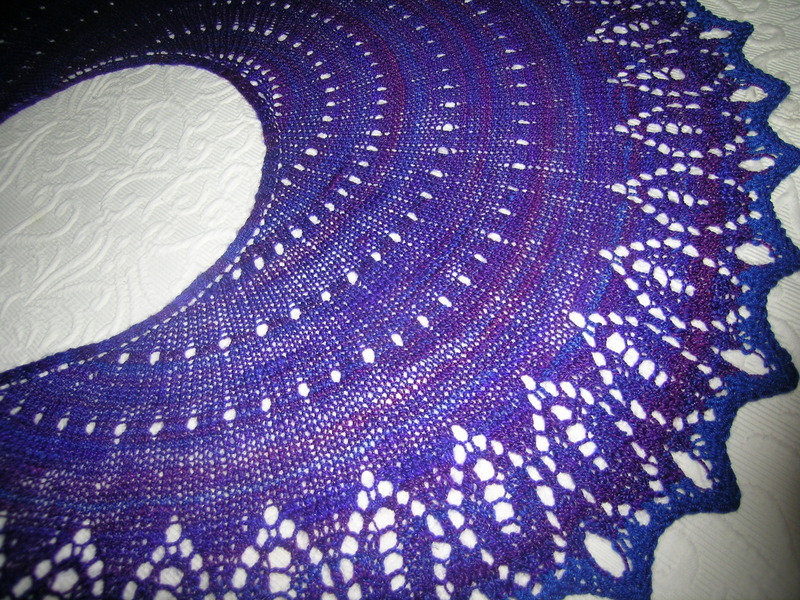 I cast off, and blocked this, now it is sitting in the gift pile. 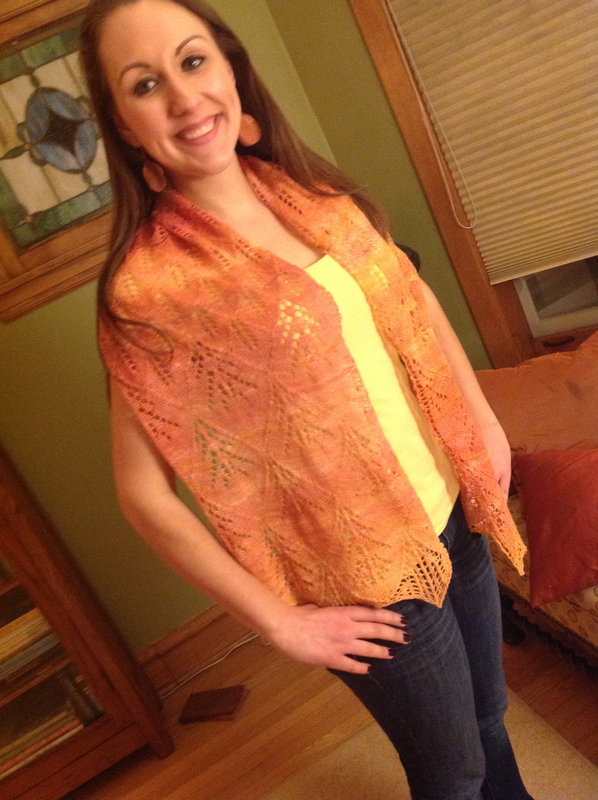 Wearing my handspun shawls has really spoiled me. 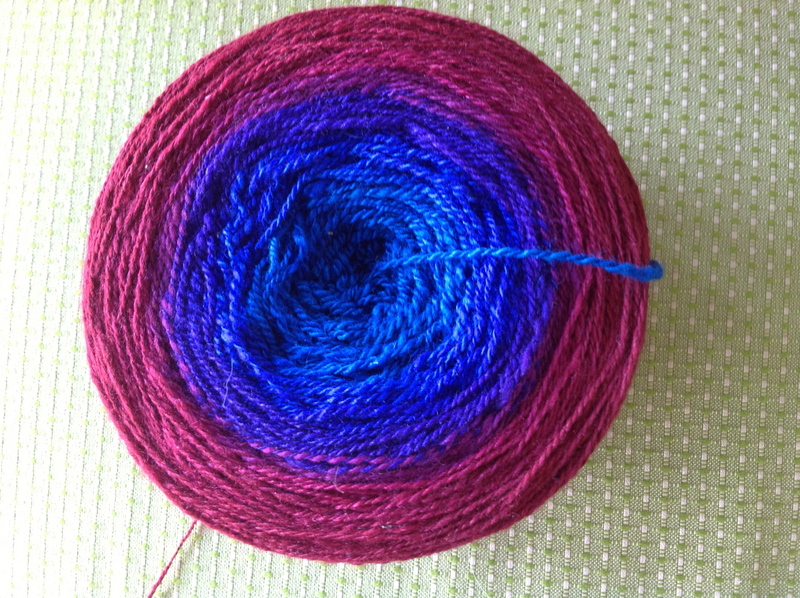 The colors are not pleasing to me, and in looking at other finished objects for this pattern, it really works much better with a solid or semi-solid yarn. 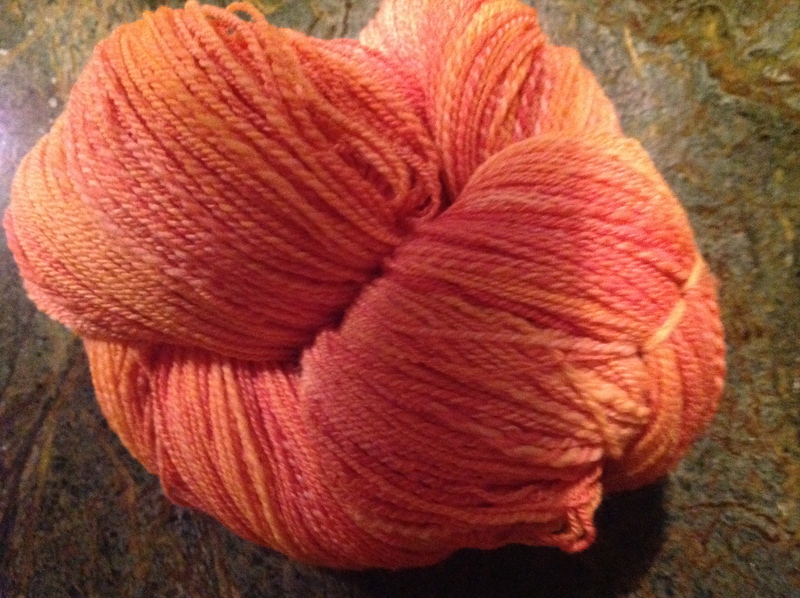 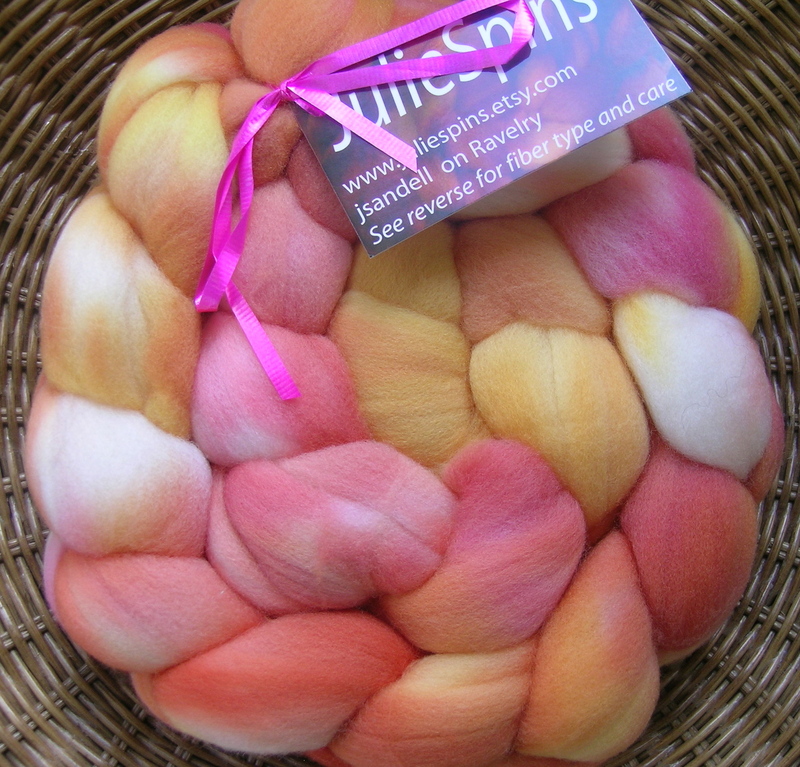 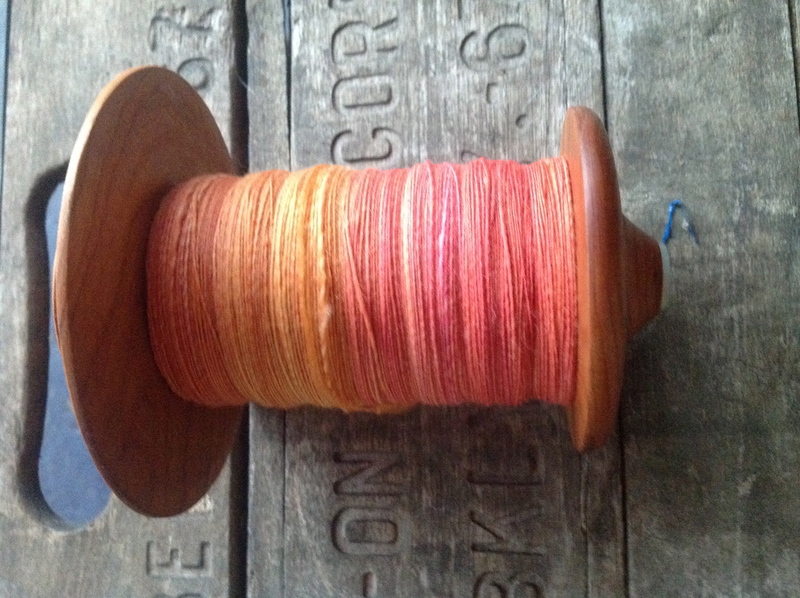 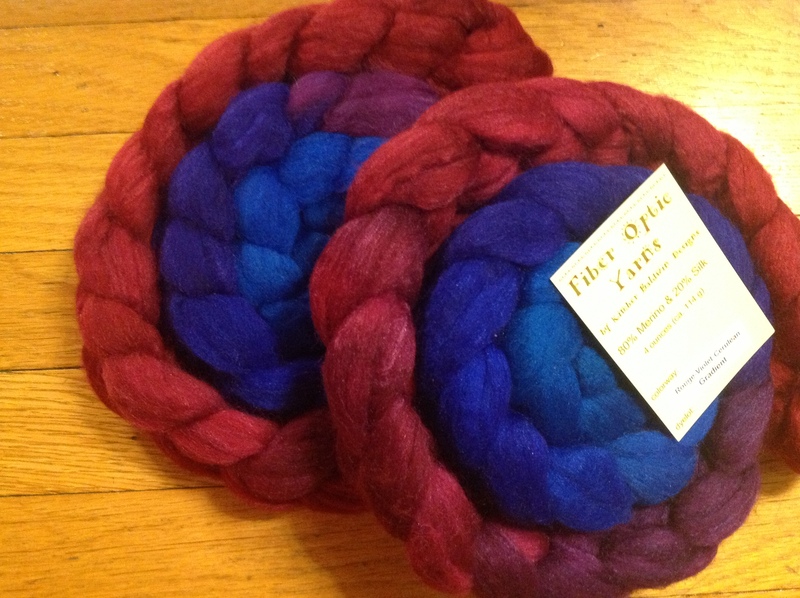 Your handspun yarn is gorgeous and this will make a great gift for someone. 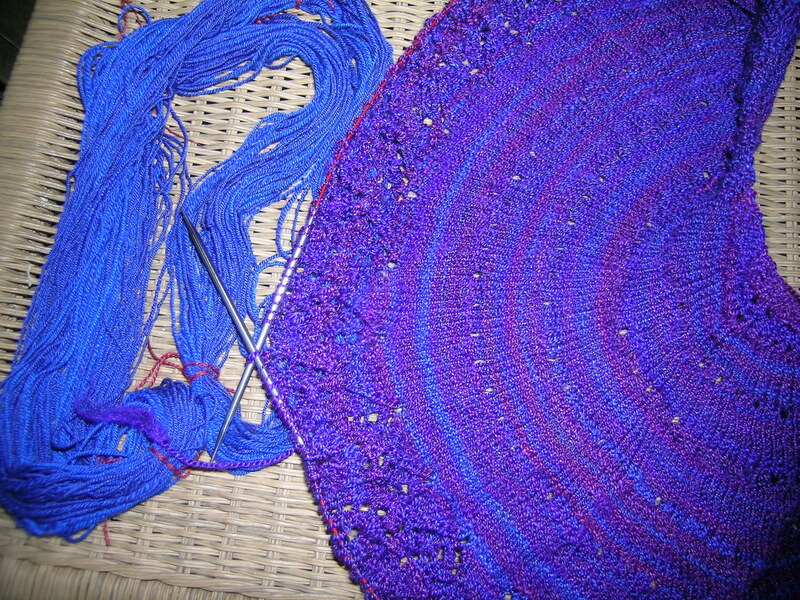 It is funny how things look different after they are completed. 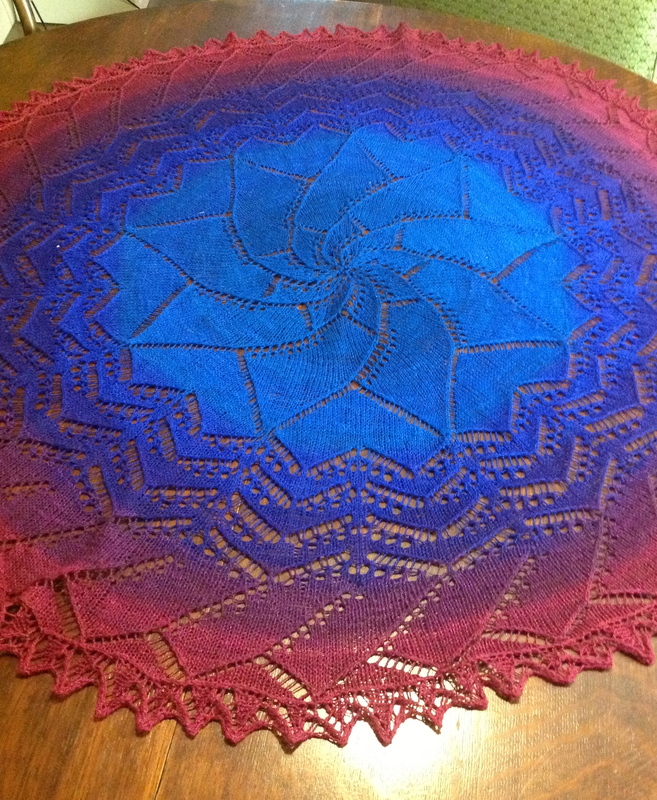 Someone will appreciate this and love it because it was made by you. 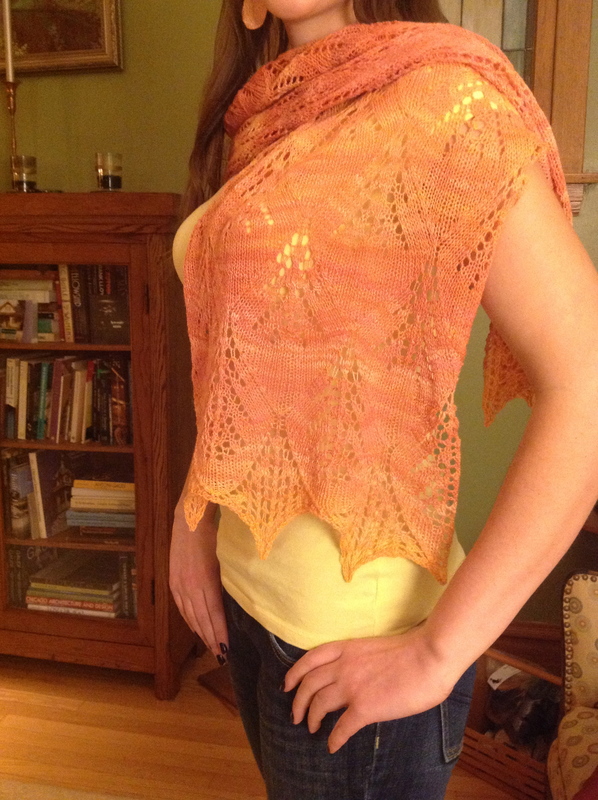 I finished knitting this shawl with the pattern that was gifted to me by my Ravelry Birthday twin, ActiveNana. 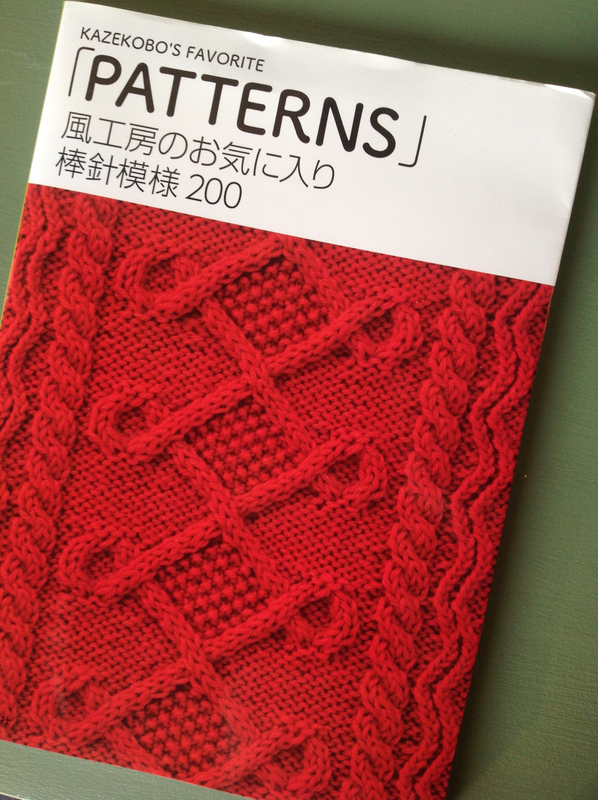 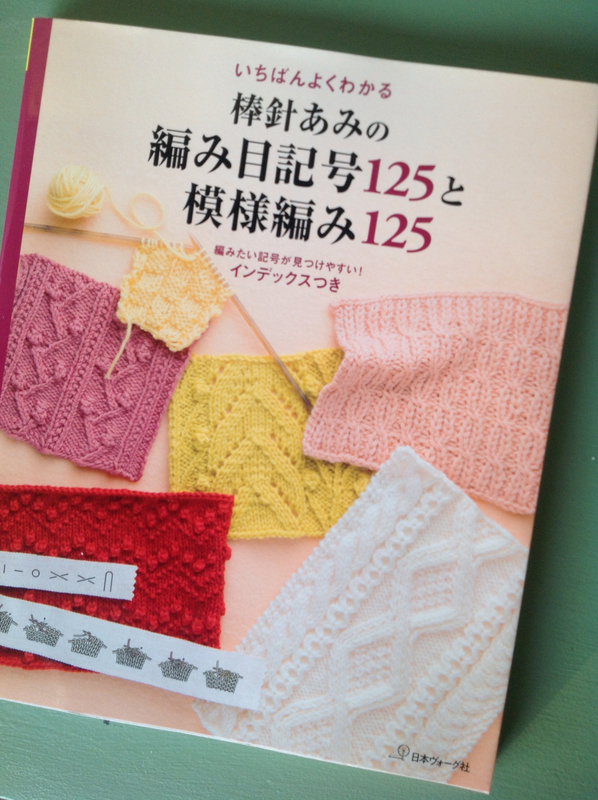 The pattern name is Lazy Katy, and I love the shape. 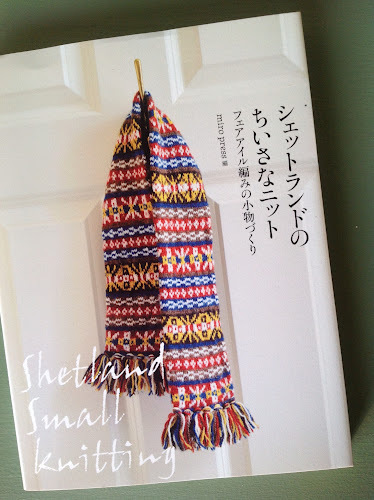 I will say that the translations left something to be desired, but with the notes of others, I was able to figure it out. 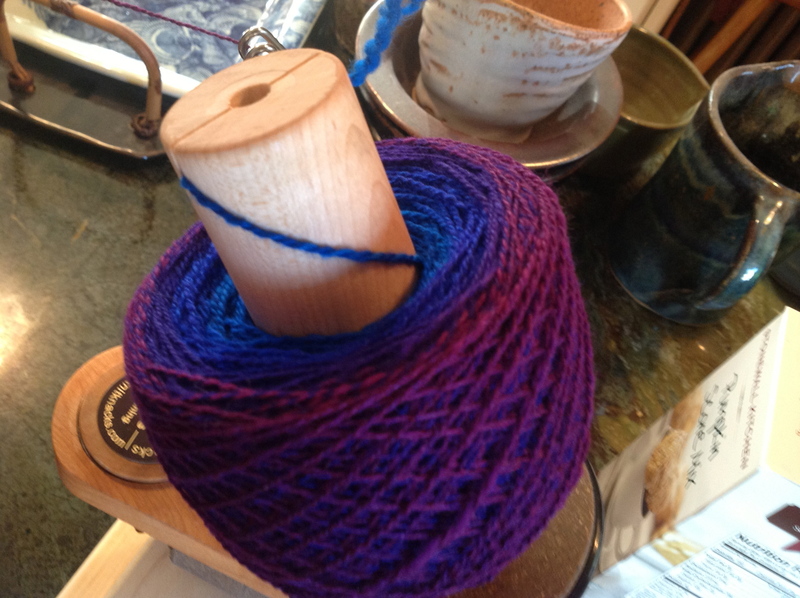 I used some handspun, color Mediterranean that I purchased in 2011 at the Midwest Fiber and Folk Festival, and spun up this past year. 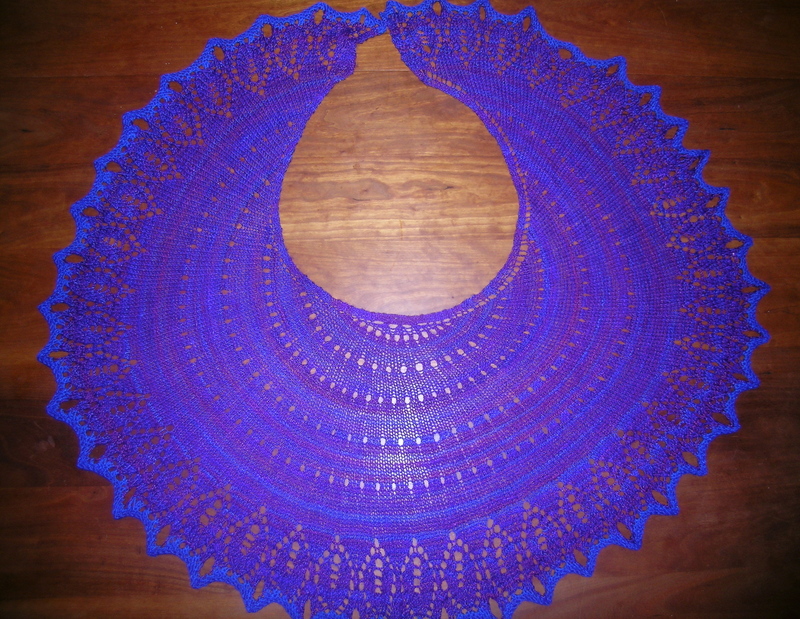 For my friend’s Birthday, I gave her the choice of these 2 shawls, and while she loved the purple color better, this was definitely a more interesting shape. 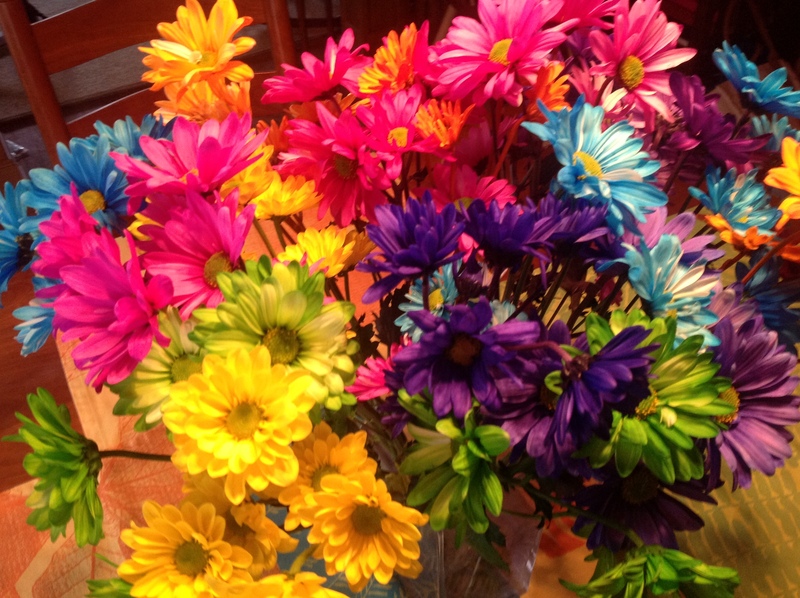 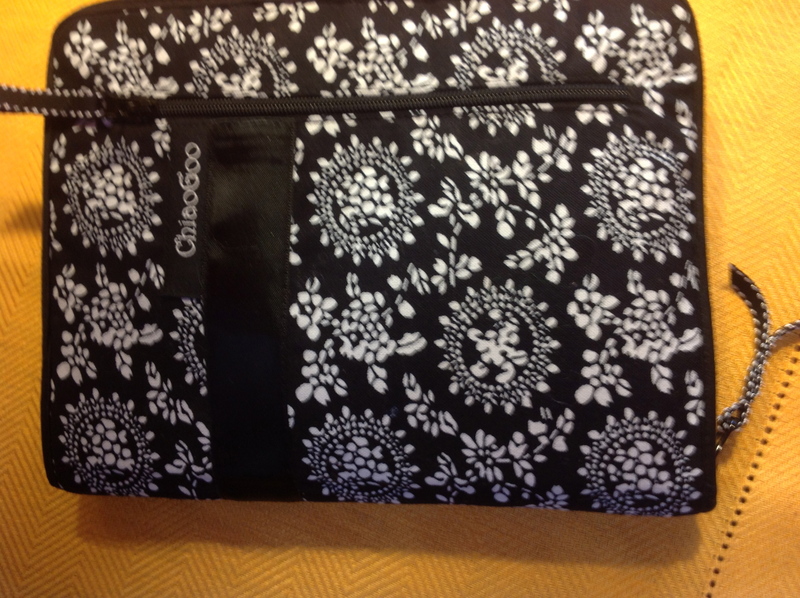 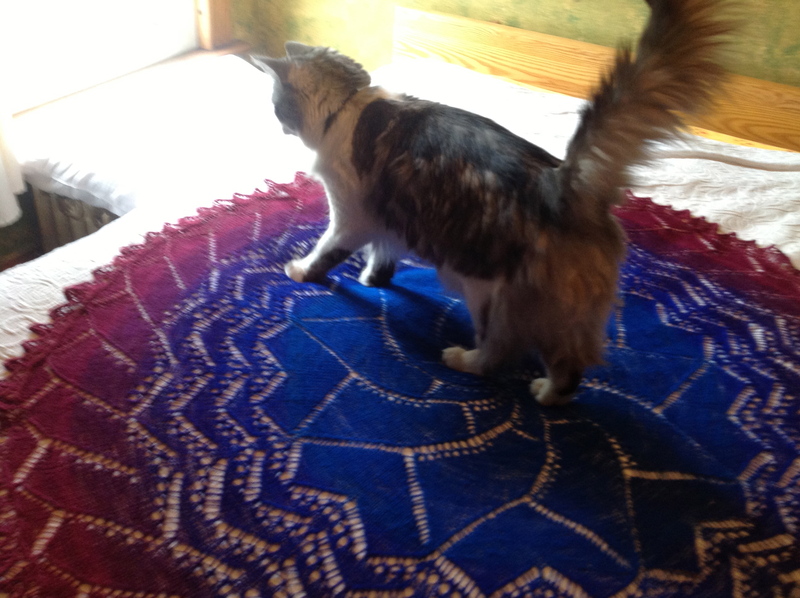 One Birthday gift becomes another. 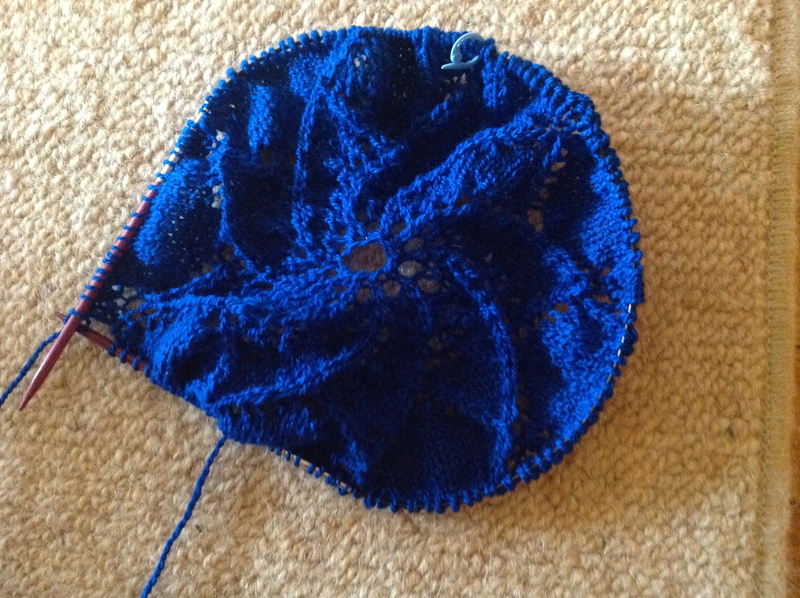 I love the shape also, and see this being knit up again in the future, perhaps with a gradient. 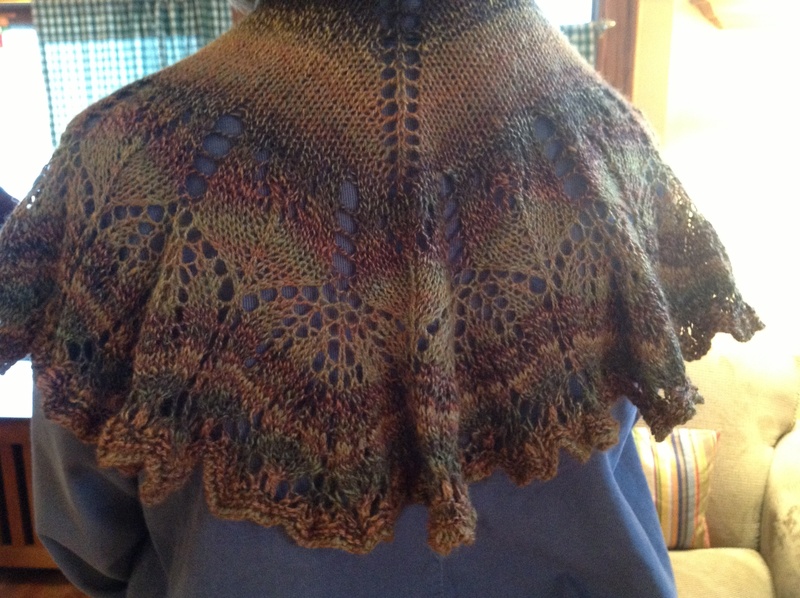 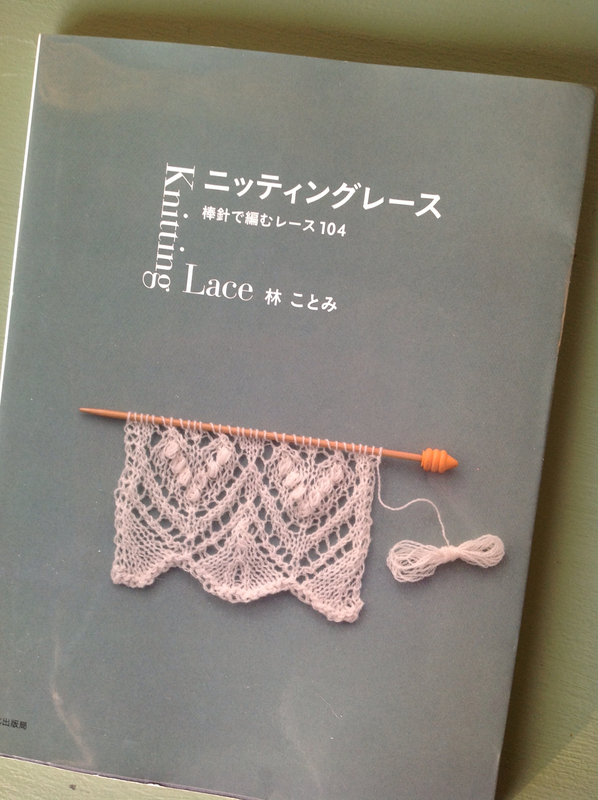 Just in time for my friend Sheila’s birthday party, I finished blocking the leaf shawl and weaving in ends. 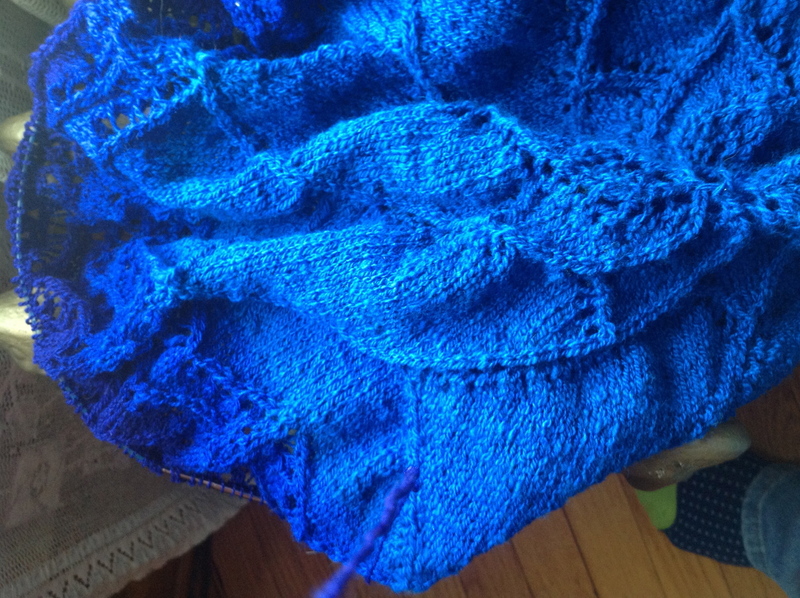 I chose to block it with a ruffled edge, which I think was the intended result. 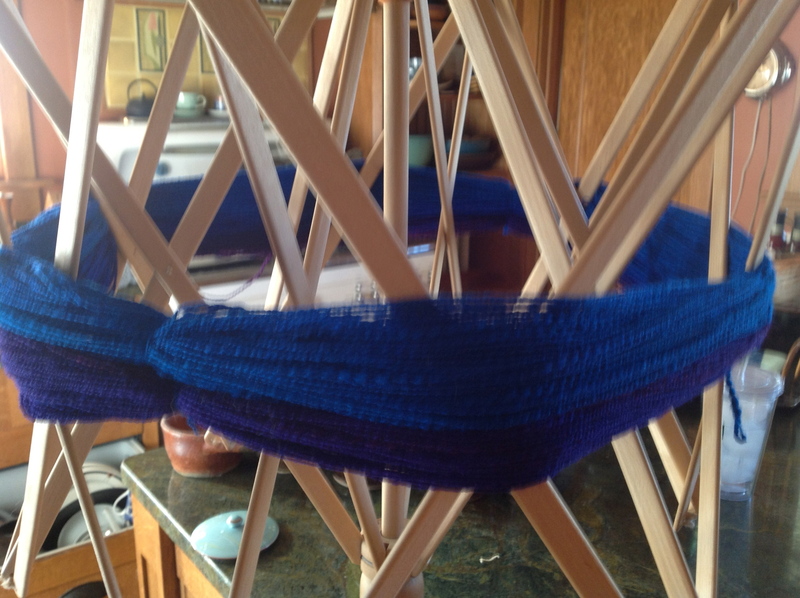 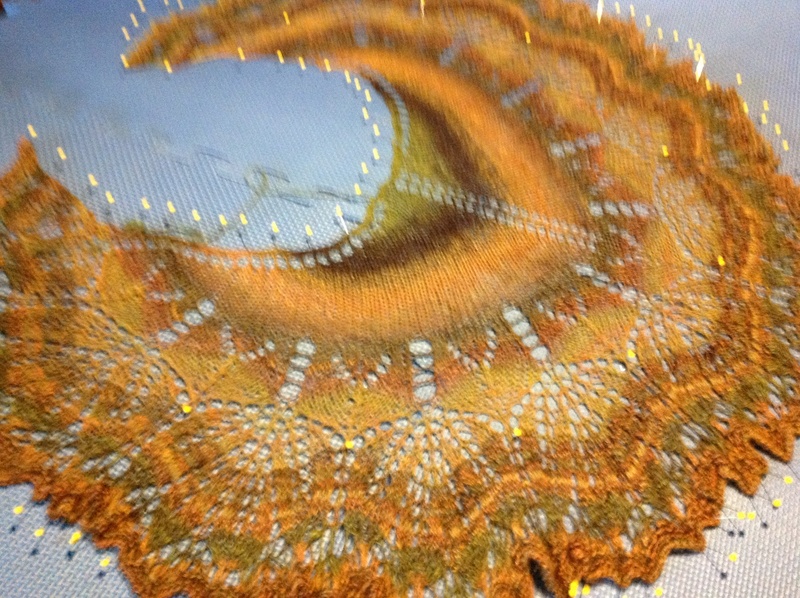 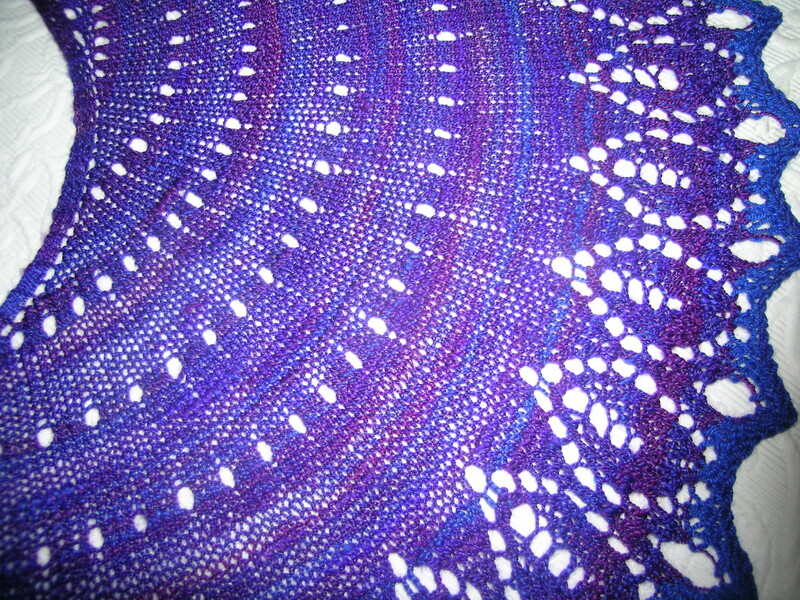 My blocking photo is very fuzzy, but wanted to include it for those who are making the shawl, there were a couple of “extreme blocking” examples on Ravelry which seemed to distort the pattern into something that it did not want to be. 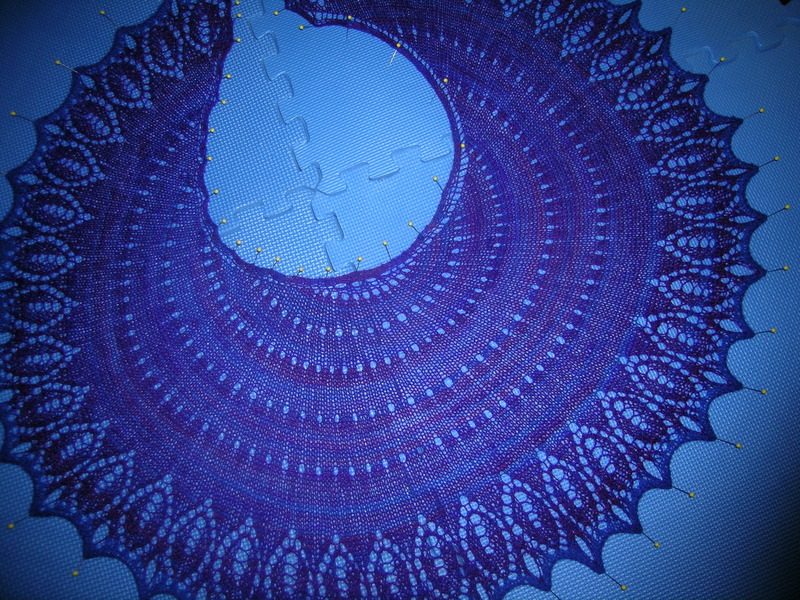 That given, this was a challenging shawl to block out, and in retrospect I should have used my blocking wires.